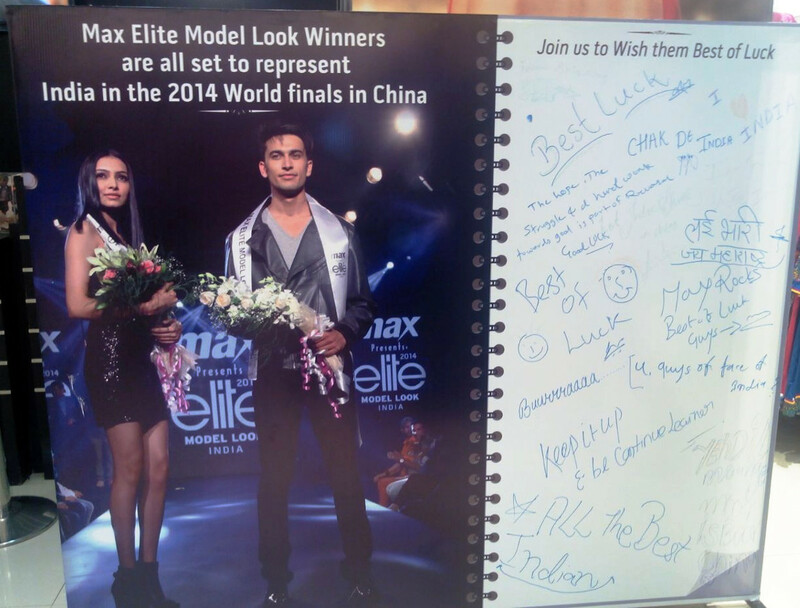 Elite Model Look India 2014 has reached its final stage with winners of MAX Elite Model Look, Rinku Malik and Vijaya Sharma all set to represent India at the international finale in China on 3rd December 2014. Competing with contestant across India, Rinku Malik and Vijaya Sharma proved themselves above all and became the first Elite Model Look India winners. Both the winners have undergone grooming sessions from industry experts to get prepared for the international platform. Max had organized for a “Wish Wall” at all Max Stores in Mumbai and Delhi where customers have expressed their good wishes for the contestants. Many people have also wished them luck on Max Facebook page.